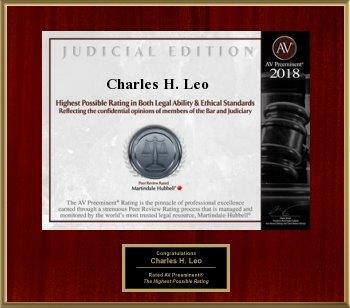 The Law Offices of Charles H. Leo, P.A. is experienced in trying Orlando social security disability cases. Filing disability claims can be both frustrating and difficult. As your Social Security Disability Attorney Orlando, we are prepared to assist you in obtaining the necessary medical documentation needed to move your case forward. Located in Orlando, we are familiar with the medical professionals in the area and can assist you in obtaining the necessary documents from their offices. We are confident that with our assistance we can help you succeed in gaining the financial assistance you deserve. If your claim has already been denied, we may be able to assist you in appealing that decision. For more information and a free consultation call one of our social security lawyers today at (407) 839-1160 or (866) 804-1160. Social Security Disability cases in Orlando are a complicated process that requires multiple record submissions, interviews with the Social Security Administration, and occasionally a Trial/Hearing before a Social Security Judge. Going to trial without a lawyer is not a smart idea and can result in the forfeiture of thousands of dollars you otherwise would not know you were entitled to . In Social Security, the Representative gets paid if they recover past due benefits. Unfortunately, people who aren’t lawyers are allowed to hustle applicants into signing up with firms that do not use lawyers at trial. 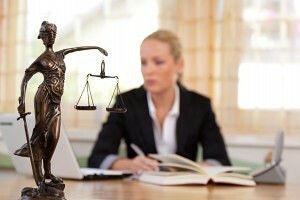 WHY HIRE THE LAW OFFICES OF CHARLES LEO, PA, IN YOUR SOCIAL SECURITY CLAIM? You should hire our firm if you want a real, Florida Bar attorney to handle your file and prepare you properly for hearing. You should have a real Lawyer prepare a quality trial memorandum for the Social Security Judge and have a real Florida Bar lawyer take you to the actual trial. MANY of the big TV advertisers use paralegals and non-lawyers to handle the hearing, leaving an applicant’s life in the hands of someone who may not even have a college degree. DO NOT SETTLE for less than a Florida Bar admitted lawyer handling your case in front of the Judge. If you wouldn’t let a nurse do surgery on you instead of a doctor, why would you let a paralegal handle your file at trial? Be very careful if you discuss your case with TV advertisers, then call our firm if you need real legal help with a real lawyer. Our experience as an Orlando Social Security Disability lawyer will allow us to guide you down the path to success and ensure that you recover what you rightly deserve.